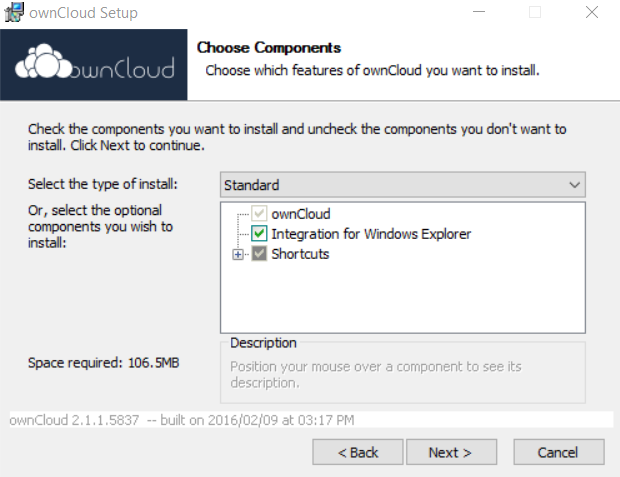 Make sure the Integration for Windows Explorer option is checked, and click on Next again. 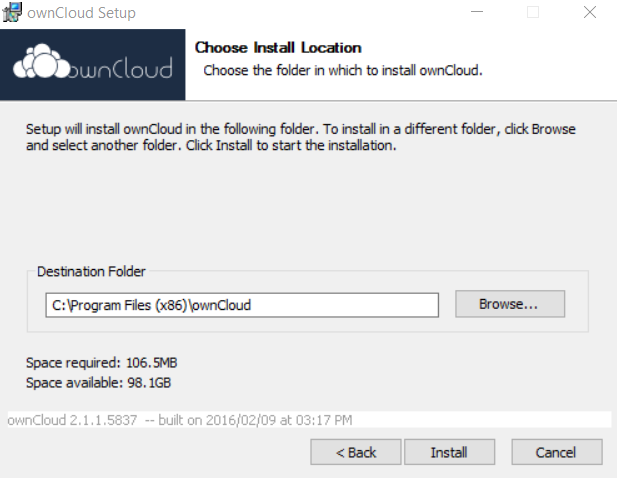 Make sure the option Run ownCloud is checked and click on Finish. 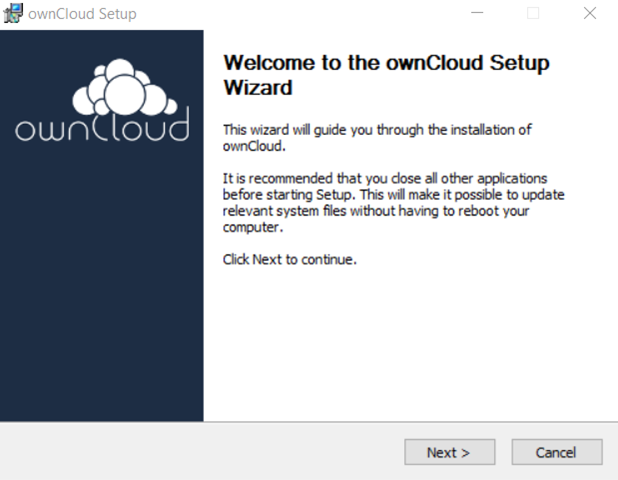 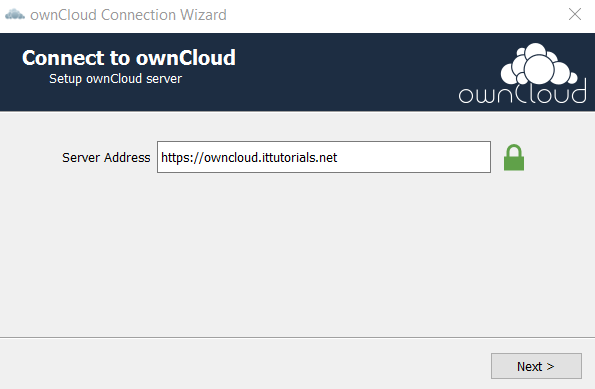 Enter your ownCloud server URL, and then Click Next. 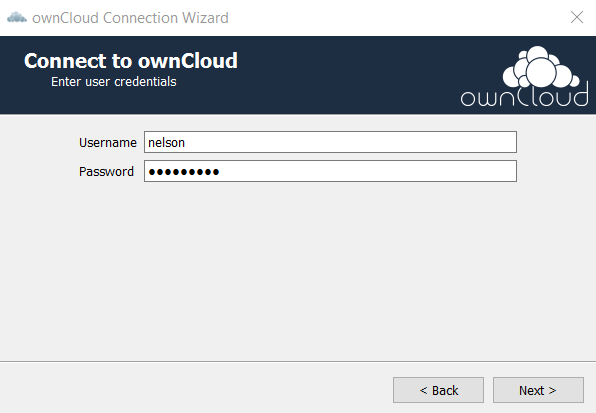 Enter the username and password and click on Next again. 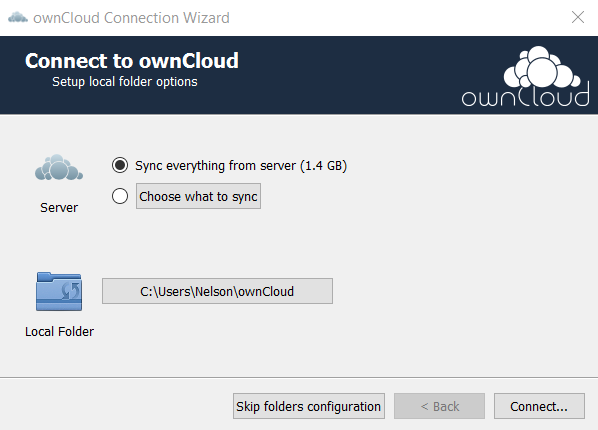 Choose Sync everything from the server if you want to sync all the data in your account or Choose what to sync if you want to select what you want to sync. 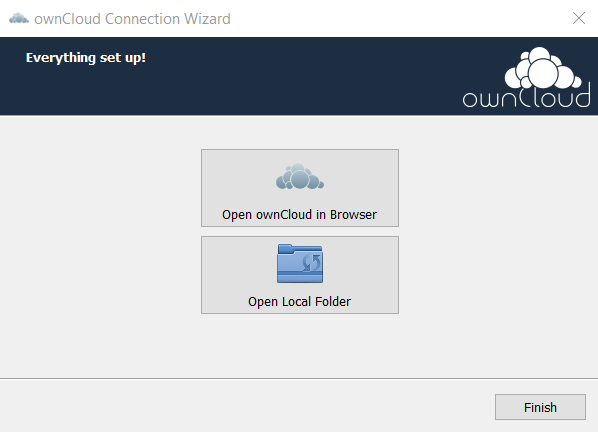 click on Connect after you’ve made your choice. 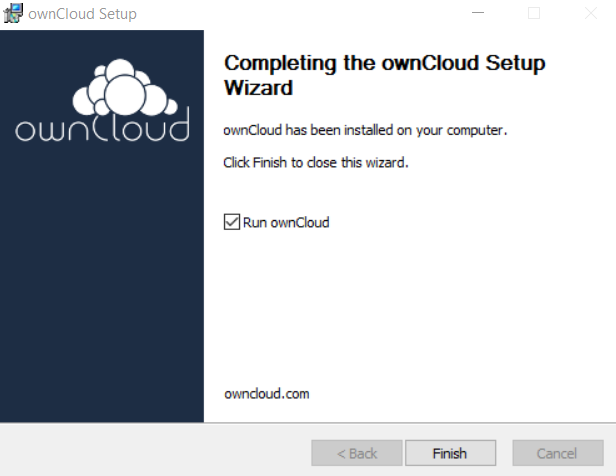 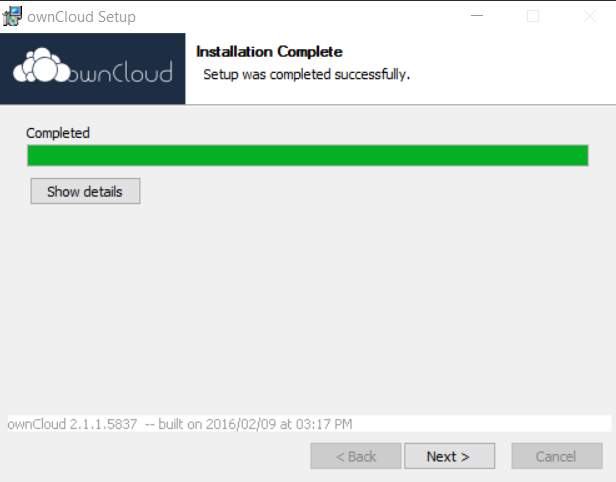 Click on Finish and the ownCloud client should be installed in your computer now.